The sophisticated raciness of Dole & Kom is always a fascinating thing to witness. Their title ‘Samoja’ means serious business in terms of beats, bass and the resulting danceability. The playful instrumentations and afro vocal part of this title create a very musical counterpart. 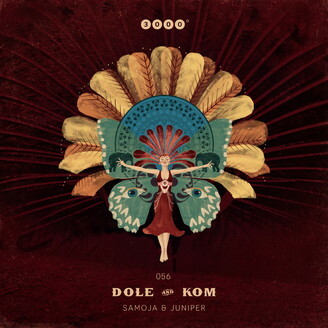 ‘Juniper’, their streamlined second track on this EP, follows a trajectory that clearly aims at a good time on the dancefloor while its mighty hypnotic potential remains hovering in the background like an otherworldly presence. Variation is always good and that's why there's two remixes, as well: Mollono.Bass with an energetic departure and Elfenberg with a tribalistic flow experience.